Israel’s leading university, offers prestigious international MBA aimed at entrepreneurs interested in practical start-up experience. Many Israeli universities offer international master’s programs for students interested in earning their MBA in Israel in English. Now the Technion (the Israel Institute of Technology) - the only university that was awarded three Nobel prizes in 7 years - is offering one too! Have you always dreamed of starting your own company? The Technion – Israel Institute of Technology is offering a one-year startup MBA Program for international students. The leading Israeli university announced the launch of the Start-uP MBA focusing on entrepreneurship, innovation and technology management. 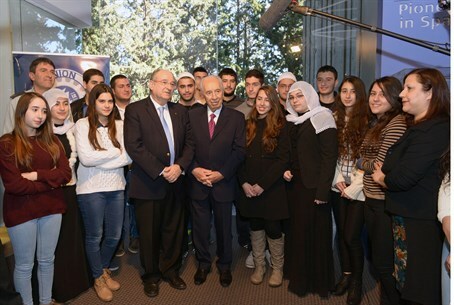 The program exemplifies the high academic nature of the Technion and incorporates the vast experience of the Technion as key contributor to the economic and technological success of Israel. The one of a kind Start-uP MBA in Israel launches October 2014 and is designed to grant entrepreneurs the practical tools and skills necessary to successfully launch and manage their own start-up. The program takes place in the brand new Technion Urban campus in the Sarona Center, across the street from the Azrieli Towers. The prime location enables students the chance to study in an urban environment and explore the hottest city in the Middle East – Tel Aviv! The Start-uP MBA offers students the chance to discover the start-up nation as they engage in practical projects, site visits and seminars that help transform their ideas into a reality. The Technion MBA is the only school in Israel that is part of the Yale Global Network for Advanced Management and students will be able to utilize the international partnership. The unique MBA model was developed by the Technion following in-depth consultation with top CEOs and entrepreneurs who voiced the need for a practical MBA program that offers managerial and management experience.